I’m a bit behind with posting my life drawings! The first evening back Clara modelled. I’ve not made it along to life drawing for a few weeks so I thought I’d better get back into practice with some gestures! I drew these from images at Line of Action, using the 30 and 60 second timers. 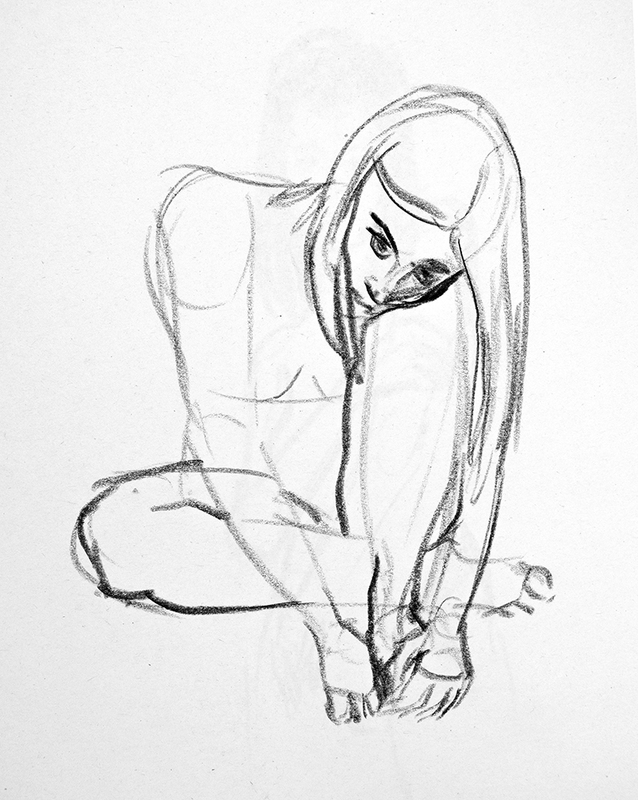 I’ve been unable to go to the life drawing sessions for the last couple of weeks, so I did some drawing from poses online. 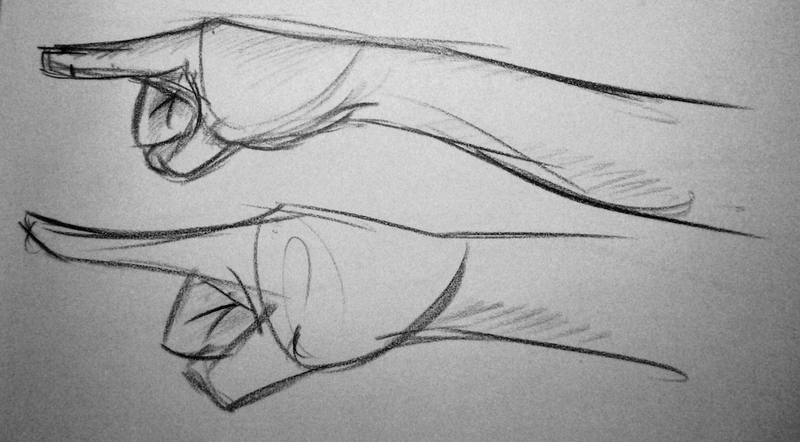 They’re not ideal (although the model does stay perfectly still) but I do like being able to do the very short poses. 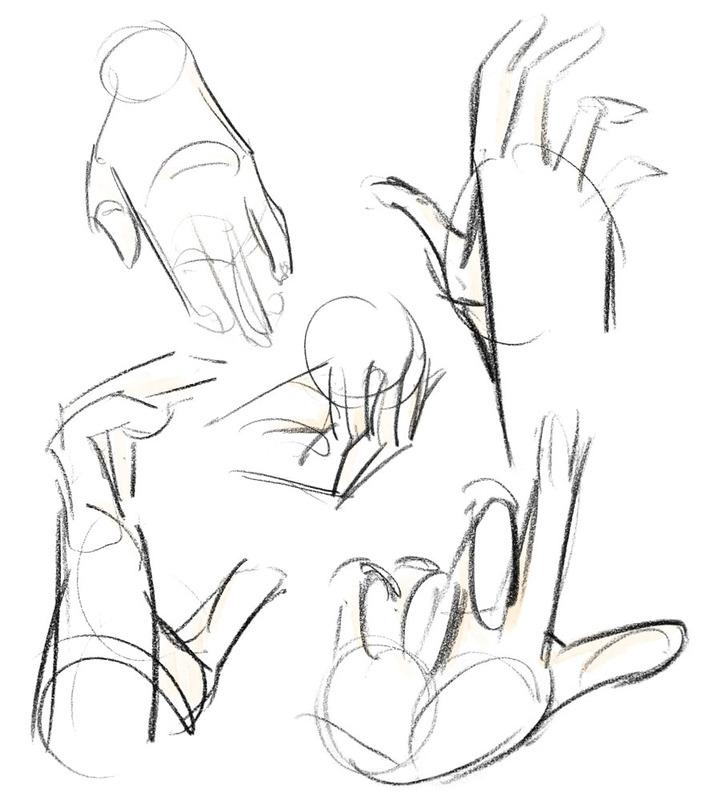 The hands below were done in 30 seconds each; I used to be quicker but I’m out of practice! I still find hands and feet difficult. Here I was really working to break the hand down as simply as I could – I’ve still some way to go. The pose shown below took longer – 2 minutes. This pose took somewhere around 7 minutes to draw. 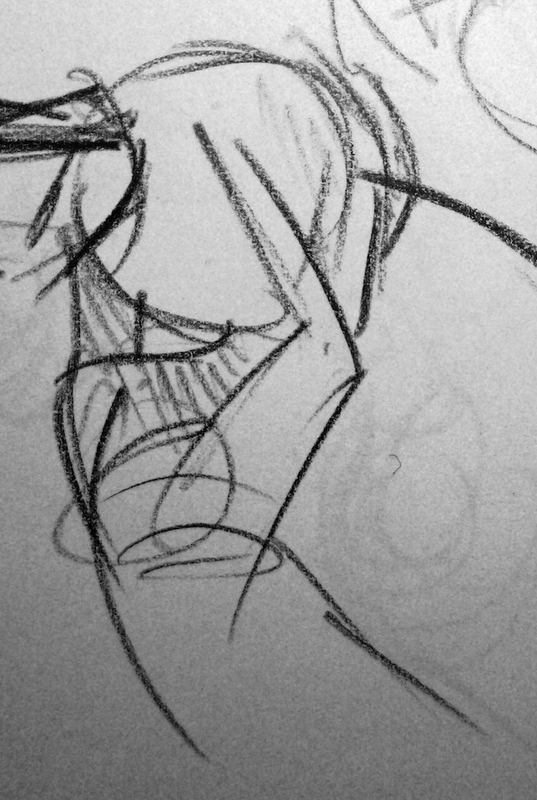 I’m pleased with it as often my longer poses lose clarity and spontaneity, and I feel this one’s kept that. 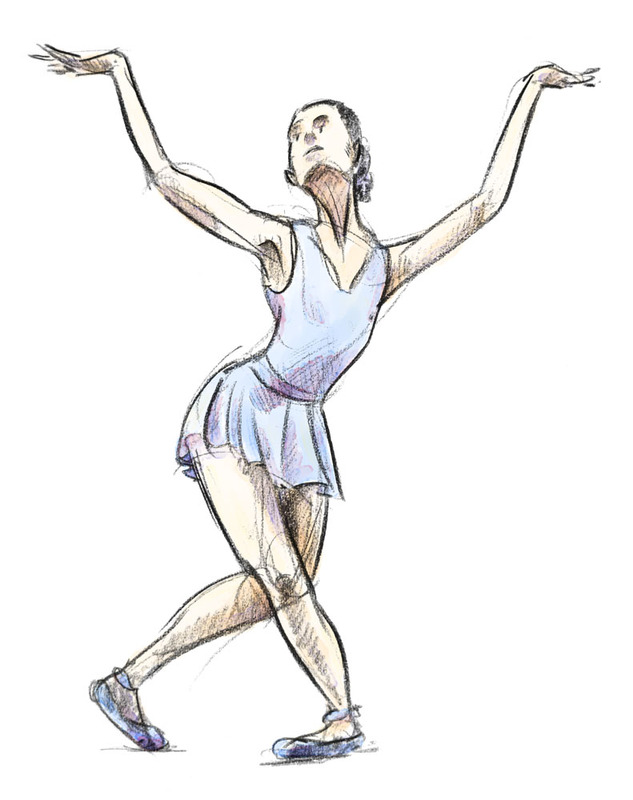 I would like to do some drawing of dancers in real life. This was my third attempt at this foot in that time, and I went on to try another. So somewhere around 2 minutes.